TTN 25th March 2014: Deloitte Access Economics has named tourism one of its ‘Fantastic Five’ growth industries over the next 20 years. 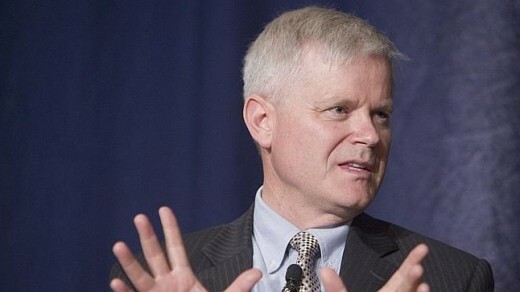 Of Deloitte’s ordained 25 top growth sectors in the next 20 years, Deloitte has identified five sectors that they believe can together fill the gap in GDP that will be left behind by mining. There is conflicting information within the BRW report of the Deloitte data, with the article naming a different fantastic five to what is demonstrated in the BRW article. 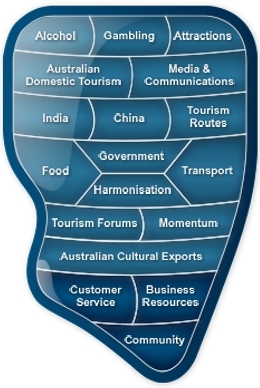 The article lists the fantastic five as sectors of gas, agribusiness, tourism, international education and wealth management; whilst the Deloitte graph (below) highlights five sectors of tourism, agribusiness, disaster management and preparedness, ‘financing the fantastic five’ and parcel delivery. The differentiation between BRW’s report and Deloitte’s graph may be accountable to the fact that Deloitte’s included sectors of ‘”disaster management and preparedness”, “financing the fantastic five” and “parcel delivery” are not quantifiable sectors as far as BRW are concerned. The category “financing the fantastic five” is fairly omitted as Deloitte themselves have the most to gain from the economic data and professional services involved in the work of ‘financing the fantastic five’. Deloitte’s report says five big-picture advantages give Australia a head-start: world-class resources in land, minerals and energy; proximity to the world’s fastest-growing markets in Asia; our use of English, the world’s business language; a temperate climate; and well-understood tax and regulatory regimes. “Many of the domestic growth opportunities that Deloitte identifies result from the collision of health costs and ageing. That includes obvious candidates (residential aged care, retirement living and leisure, community and personal care, and preventative health and wellness), but also the digital delivery of health (this nation already delivers health care to remote Australia well – think of the Royal Flying Doctor Service – but new manufacturing technologies will combine with new markets to generate new potential for digital delivery more generally). •Taking advantage of new buying patterns to surf good growth in parcel delivery. •Australia’s strong Finance sector can slipstream the rapid growth in Australian trade and help finance the Fantastic Five. In 1970 total trade flows were a meagre 23 per cent of our economy, but by 2010 that had risen to 40 per cent, and Deloitte Access Economics estimates that Australia’s trade ratio will rise to 45 per cent by 2015, and (a resource export-assisted) 60 per cent by 2025. •Food processing: Provided that we address an outdated regulatory framework, we could match New Zealand’s success, unshackling the potential downstream opportunities of the “dining boom”. •Finally, Australia has world-class opportunities in medical research. Our research capability in neuroscience is in the top four globally. That is vital, as “brain health” is set to be the dominant health need of the coming century.